Over the past day, the enemy violated the ceasefire agreement 29 times along the line of contact in eastern Ukraine, according to the Anti-Terrorist Operation Headquarters. 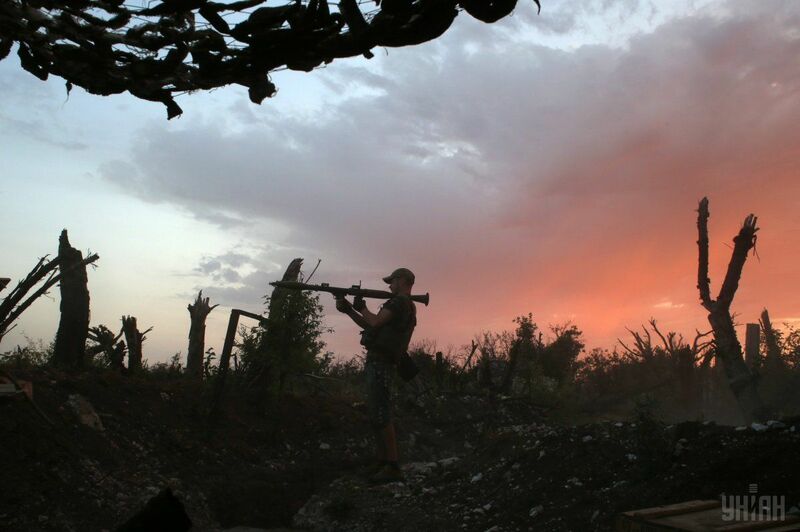 Late Thursday and overnight Friday, illegal armed groups intensified their shelling of our positions on the Donetsk and Mariupol lines, the report reads. At about 20:00 and 21:00, the militants fired grenade launchers, machine guns and small arms at Vodiane, Pavlopil, Shyrokine, and Hnutove. At the same time, the enemy mortared Novomykhailivka with 82mm shells. From 21:00 to 22:00, Ukrainian strongpoints near Maryinka were shelled from infantry fighting vehicles, grenade launchers, and mortars. Read alsoAreas near Ukraine's port city of Mariupol turn into hot spot of Donbas war in past dayAs a result of these provocations, two Ukrainian soldiers suffered shrapnel wounds. Another hotbed of hostilities at the end of the day was outside Avdiyivka in the Donetsk direction. Between 21:00 and almost 23:00, the gangs opened fire on Ukrainian troops five times from Spartak, Yasinuvata, and Mineralne using mortars, grenade launchers, heavy machine guns, and small arms. Another attack was recorded near the Butivka mine. On Luhansk line, after 19:00, villages of Stanytsia Luhanska, Novo-Oleksandrivka, and Novotoshkovske also came under enemy fire.